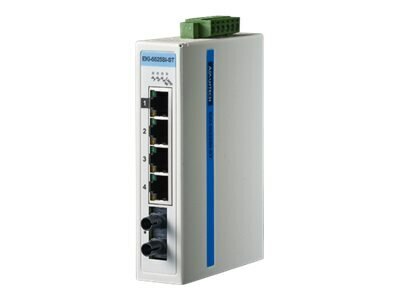 These are convergence switches for process control and IT networking management. This series uses Modbus/TCP to communicate with the SCADA software and SNMP to communicate with NMS(Networking Management System) at the same time, thereby allowing full read control over the devices either for control engineers or for IT. The devices come with the Port-based QoS for deterministic data transmission allows the priority ports to prioritize the traffic coming over those ports and delay the less immediately necessary data over the remaining ports. The switches use the highest quality components, to enable the range to operate in temperatures of between -40 and 75’C along with EMS Level 3 protection to repel electromagnetic interface for industrial resistance.